Today is the day we've all been waiting for since March when Google unexpectedly dropped the Android N developer preview on us. 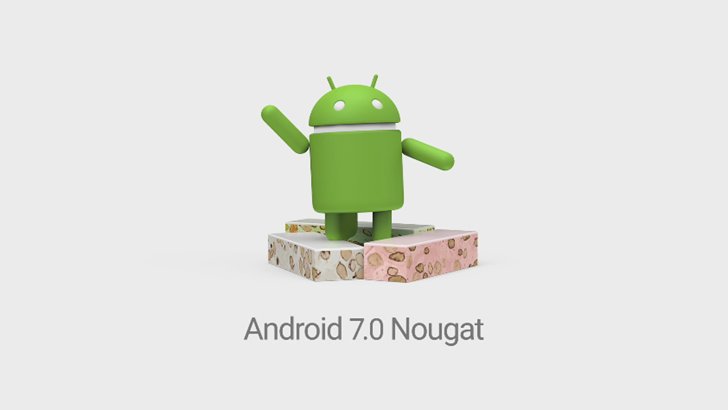 Android 7.0 Nougat, as it's now known, is officially done and rolling out to Nexus devices, the Pixel C, and the General Mobile 4G. There aren't any big surprises here—the final build is virtually identical to the last developer preview, but it should be more stable and it'll be on your phone or tablet very soon. Supported devices getting the OTA are the Nexus 6, Nexus 5X, Nexus 6P, Nexus 9, Nexus Player, Pixel C, and General Mobile 4G. No older Nexus devices are getting the official OTA, and all other phones and tablets will have to wait for OEMs and carriers to get their ducks in a row to roll out updates. If you haven't been keeping up with Nougat, here's what you can expect. If you read this far, you're probably crossing your fingers for something else—new Nexus devices. Well, there aren't any yet. Instead, Google again confirms that the LG V20 will be the first phone to ship with Android 7.0 Nougat. The Nougat OTA will likely be rolling out slowly over the course of a few days (possibly as long as a few weeks). There may also be some variance based on the carrier SIM you have installed (you can always take that out). All supported devices on stock Marshmallow software will get the OTA notification, as will devices on the N preview enrolled in the beta. We'll try to post OTA links when we have them too. A few more things we've learned over the course of the day. You can get an OTA quickly by enrolling in the developer preview beta. If you're still on M, we are collecting all the OTA updates as we get the links. Going forward, Android will be on a more predictable quarterly maintenance release cycle as well. A dev preview for the first MR will be out this fall.